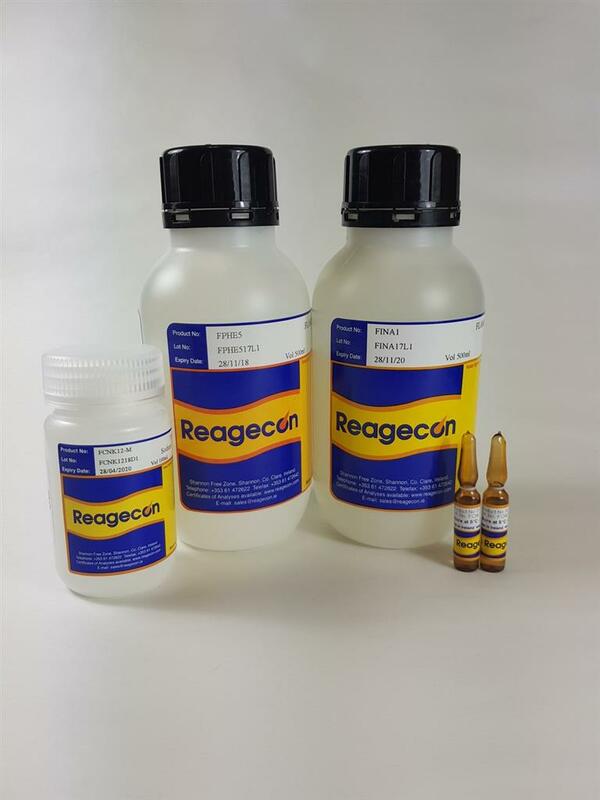 This product is produced in a highly controlled cleanroom (ISO 7) environment, using ultra-pure water (specially treated for the production of spectroscopy standards), and pre-cleaned bottles. The titrimetry and spectroscopy are controlled and calibrated using separate Certified Reference Materials (CRM’s), so the product comes with two layers of traceability including NIST Standards where available. All of the uncertainties of measurement for this product are calculated according to Eurachem/CITAC guidelines and reported as expanded uncertainties at the 95% confidence level.